Ventolin is an asthma medication marketed in the UK by GlaxoSmithKline. It belongs to the reliever category of treatments. To renew your prescription and buy Ventolin online from our UK pharmacy, take our questionnaire to start your consultation. Medicines are shipped by special next-day delivery. Ventolin Accuhaler contains 200 mcg of salbutamol sulfate per inhalation. Ventolin Evohaler contains 100 mcg of salbutamol sulfate per inhalation. Ventolin is an asthma treatment, made by UK company GSK. As a reliever treatment, it is used when someone experiences symptoms related to their asthma, such as breathing problems. It might also be applied to avert an asthma attack, which can involve the gradual or sudden onset of breathlessness, coughing or wheezing. The medication is supplied in a wide range of forms: as an accuhaler; evohaler; a respirator solution; and as a syrup. However, only the Accuhaler and Evohaler forms are available to buy from our pharmacy. Which one you use will depend on which method of application you find easiest to use, and the severity of your symptoms. For instance, users who find inhalers difficult may opt to use the syrup instead; while those who have severe symptoms and require a larger dose may be directed by a doctor to employ the respiratory solution, which is applied via a nebuliser. Over 5 million people in the UK alone are thought to be affect by asthma. It occurs when the immune system responds to a trigger, and produces an inflammatory response. A trigger might be caused by dust or other particles in the air, smoke, exercise, an allergy or a chemical. The immune system will then release a chemical transmitter, which, as well as causing inflammation, makes the muscle walls around the windpipe and connecting airways tighten, and increases the production of mucus. This narrows the airways and causes the aforementioned symptoms to occur. Treatment for asthma is provided in two strands; prevention and relief. While preventers work by limiting the immune response and making an attack less likely, relievers are taken while symptoms are active. They contain a substance called a beta-2 agonist, which in the case of Ventolin is called salbutamol, and this works by relaxing muscle walls affected by asthma. This then dilates the airways, and makes it easier for the user to breathe. We provide this treatment on a renewal or repeat basis only. If you have asthma, haven’t used this treatment before or are not using it currently, or finding that your current treatment isn’t working, speak to your GP or specialist. They will assess your symptoms, and be able to issue the most appropriate medication. Patients looking to renew their prescription for Ventolin and buy it online can do so with our consultation service. Take our questionnaire, and your case will be reviewed by one of our GMC-registered doctors. Following approval, a prescription will be issued and sent to our UK dispensing pharmacy. Treatments are shipped using special courier services, and in most cases you’ll receive your medicine within one working day. Following the instructions provided with your medicine and adhering to the directions issued by your prescriber will help you to ensure that Ventolin is effective. Ventolin is applied when the user experiences asthma symptoms such as breathing problems, coughing or wheezing, or an asthma attack. One inhalation is taken to relieve asthma. To prevent an attack before coming into contact with a trigger, one inhalation is taken 15 minutes prior. Push back the lever until you hear it click. Breathe out, and then put the accuhaler to your mouth. Inhale deeply through the device. Try to hold your breath for 10 seconds. Do not exceed four inhalations in any one day or the amount prescribed. A typical dose may be: one to two puffs administered to relieve symptoms; and in some cases two puffs may be taken a quarter of an hour prior to encountering an expected trigger. If taken as regular treatment, a prescribed dose may be up to two puffs applied four times per day. Do not exceed eight puffs in any single 24 hour duration. Test the inhaler by spraying a test dose safely into the air before first use. Stand up straight during use. Take off the mouth cover and ensure it is free of debris. Breathe out as much as is comfortable. Without biting down, position the mouthpiece in your mouth between your teeth and with your lips around it. Breathe in and as you do so, press down on the canister to trigger the dose. Continue to breathe steadily in then hold your breath for a few seconds, before breathing normally. Those who are taking a second puff should wait for 30 seconds before administering the next one. More detailed directions are contained in the leaflet supplied. Never take more than the amount prescribed. Read the instructions for each carefully before use. These directions are provided as a guide. More detailed application information can be found in the patient information leaflet. There are a number of potential side effects associated with Ventolin, and it is important to be aware of these prior to use. If you notice any side effects, signs of an allergic reaction or worsening of asthma symptoms, contact your doctor immediately. Mouth and throat irritation, muscle cramps. Low level of potassium in the blood, increased blood flow to your extremities. Irregular sleep patterns or behaviour, such as restlessness and excitability. The list of side effects provided here is only a guide. A more detailed account can be located in the patient information leaflet. Tell your prescriber if you are currently using any other medicines, as these may interfere with the function of this treatment or vice versa. This product may affect the activity of beta-blockers, corticosteroids and diuretics. It is essential to tell your doctor during consultation if you have a history of the following or any other medical conditions, as they may impair your suitability for this treatment: high blood pressure; diabetes; overactive thyroid gland; heart problems such as angina. Talk to your doctor before using this medication if you are pregnant, breastfeeding or trying for a baby. Your judgement and coordination skills are not likely to be inhibited by Ventolin. Some forms of this product contain lactose. Inform your prescriber during consultation if you have any sugar intolerances. Yes. The efficacy of this treatment should not be affected by alcohol. Yes. Your capacity to drive should not be reduced by Ventolin, but if you experience any side effects which hinder your judgment or coordination, then you should not drive and seek advice from a doctor. This treatment may not be suitable if you are pregnant or breastfeeding. Talk to your doctor before using the medicine. Refer to the instruction leaflet for each product for storage information, but you should always keep your medicines in a safe place, below 30°C and out of the reach of children. Ventolin Accuhaler contains salbutamol sulfate and lactose. Ventolin Evohaler contains salbutamol sulfate and HFA 134a. Do not use the treatments if you are allergic to any of the above. No. You can only buy Ventolin with a prescription in the UK. If you aren’t sure which asthma treatment is right for you, make an appointment with your doctor or respiratory nurse. They will provide a prescription for the most suitable option, following your regular asthma review. Renewing your prescription for Ventolin is simple with our consultation facility. Fill in our medical questionnaire, and your case will be reviewed by our doctor. 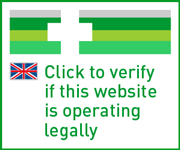 Once approved, a prescription will be generated and sent to our UK pharmacy. Your treatment will then be dispensed shipped to your chosen address by next-day delivery. Is asthma caused by genetics or our environment?